RUBBLE MASTER, a global market leader in compact mobile crushers and screens is currently in search to fulfill a salary based position for Product Support and Service Specialist. RUBBLE MASTER has been designing, manufacturing, selling and supporting compact crushers and screens for over 25 years. During this time, we have built a culture focused on customer support and service. This level of focus requires RUBBLE MASTER to search for the best, brightest, and most dedicated personnel in the industry. The Product Support and Service Specialist will work in conjunction with the Service Manager ensuring our dealers and customers receive factory level training and support. This is a very time demanding and fast paced position. Applicants must be goal oriented, self-motivated and able to travel internationally. Applicants should expect up to 75% travel domestically / internationally (Canada & EU). This is an opportunity to join the global leader in compact crushing, recycling and screening with a history of high growth in a stable industry. Troubleshoot technical issues with dealers and customers via email, phone, and in person. 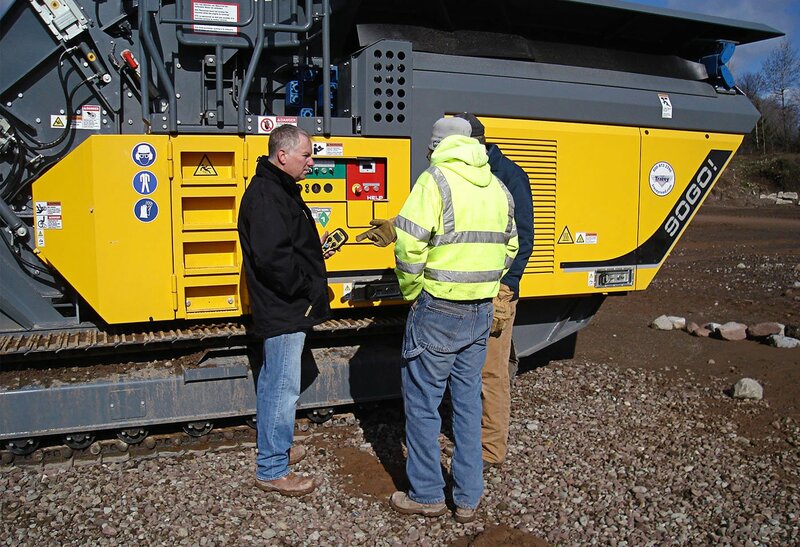 RUBBLE MASTER, a privately held company, is a manufacturer for Compact Crushing & Screening equipment for the demolition-, excavating-, asphalt- & concrete paving-, general contracting- and quarry industry. We are experiencing solid and steady growth. If you have a passion for heavy equipment, like to be on the road and the opportunity to represent an exclusive brand in the crushing industry, we look forward to hearing from you. Interested applicants should send their resume and a cover letter to [email protected]. Resumes that are mailed or hand-delivered to RUBBLE MASTER or any employee will not be considered.